Remember when I explained why Australian bushfires can be good — not talking about wild fires of course? I witnessed burning bush and grass in the Darwin region (Northern Territory) on 5 out of 6 days last July (cool season). Even though prescribed burnings are considered “low intensity” it felt odd to drive through forest areas burning till the border of the street. 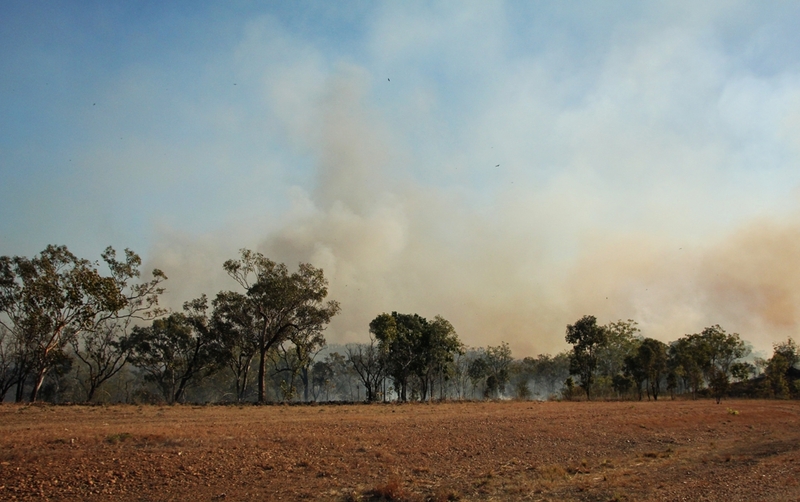 The following photos are taken out of the car while passing fires in Kakadu National Park. 1. Approaching a managed fire area by car. Park Rangers scout the park for high growing plants, then throw in a few matches to avoid that too much fuel is building up. This shall prevent the region from struggling with high intensity fires, which would be much harder to control. 2. 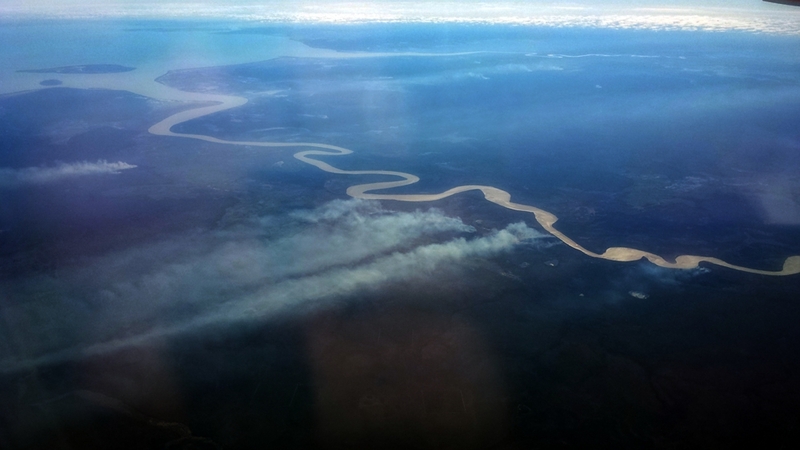 Most of the bushfires I have seen around Darwin were smouldering, producing lots of smoke only. However, I did come across fires with high flames as well, and despite of my distance I clearly heard it crackling and sizzling. Controlled fires usually extinguish on their own during the colder morning hours. 3. The sun through a thick smoke cloud. Since Park Rangers only burn small patches here and there, animals like birds and kangaroos can easily change location. For mice, lizards and other small ground animals however, fires are a real threat. They have to leave their ground holes and escape the heat while hawks are circling above them, watching out for food (yes, the black dots on the photo below are hawks — click on the image to see it in big). They learned fast that fires mean feast time for them. 4. Passing a part of the forest which had been recently burned and now starts to recover. The ashes act like fertilizer for fireproof seedlings. A few months after, nature recovered, new plants grow wildly and the whole cylce restarts. What do you think of fire management? How could I ever squeeze the words “freezing”, “dry”, “red”, “traditional”, “heat”, “crocodile”, “billabong”, “blue” and “bushfire” into one photo essay description without writing a novel? You’re right, I can’t. So let me just briefly discuss some weather phenomenons of the Northern Territory, which create a huge natural variety and diversity on the 1,800 kilometres between Australia’s tropical North and the continent’s arid centre. During our first week in the Red Centre — around Alice Springs — we didn’t see a single cloud. Unfortunately, that clear blue sky over the desert didn’t offer much protection when temperatures dropped from comfortable 20°C over the day to uncomfortable 0°C at night. Camping fun! That said, taking the plane to Darwin to spend our second week in the Northern Territory’s tropical North sounded like the greatest thing since sliced bread. Due to the wet season, when tropical cyclones and monsoons reign the northern top end, the Darwin region gets 9 times more rain each year than the central desert. While it didn’t rain during our stay (July = dry season), we got to see some clouds up north; and we were finally back to comfortable camping temperatures at night. Let’s have a look at how these weather differences influence(d) the land, nature and animals of the Northern Territory. Here I am, trying to summarize a rather surprising lesson I learned during our recent vacation in Australia. So far, the media had managed to paint a different picture of bushfires in Oz in my head. Fires have been a specific feature of the Australian continent since millions of years. 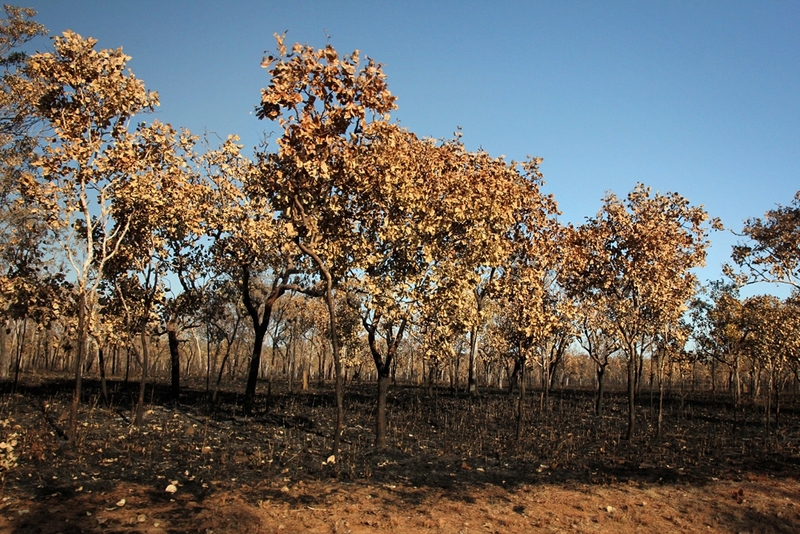 Primarily eucalyptus forests as well as banksia woodlands have evolved to be dependent on fire. But not only plants, even animals depend on fire for reproduction or survival. Aboriginal people have long been aware of this relationship of fire to bush regeneration. 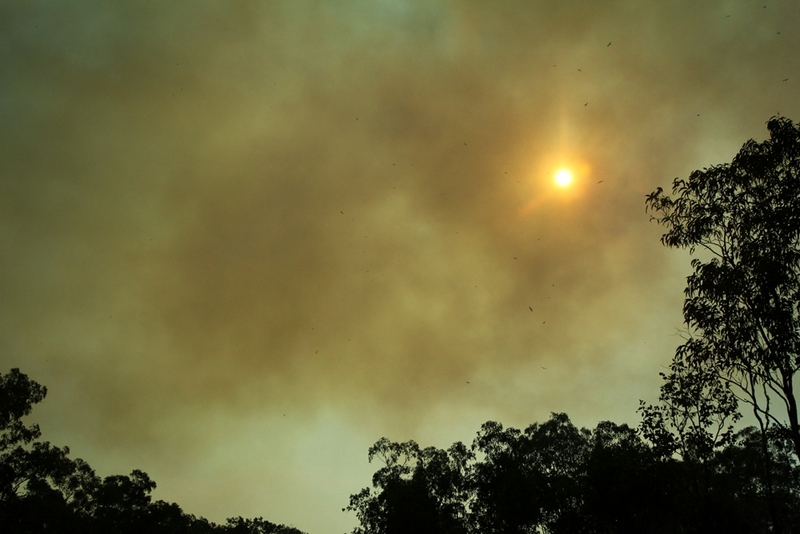 They learned to live with bushfires and began to manage them through strategic man-made fires. 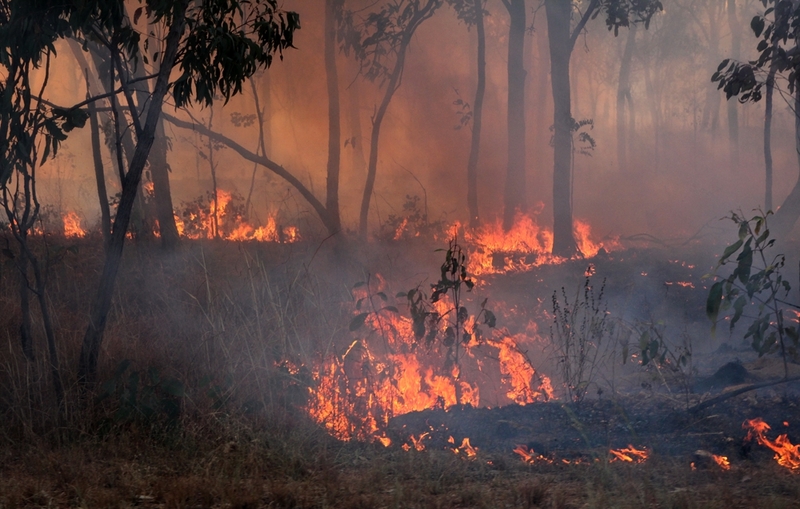 This form of vegetation management is nowadays maintained by the Australian Department of Parks and Wildlife, which uses prescribed burnings in both urban and rural areas. Prescribed burnings are used as hazard reduction during the cooler months to reduce fuel buildup and decrease the likelihood of high intensity fires. Controlled fires are generally less than a metre high, erasing bushes and leaving behind a layer of ash which acts like fertilizer and helps to maintain biodiversity. 1. 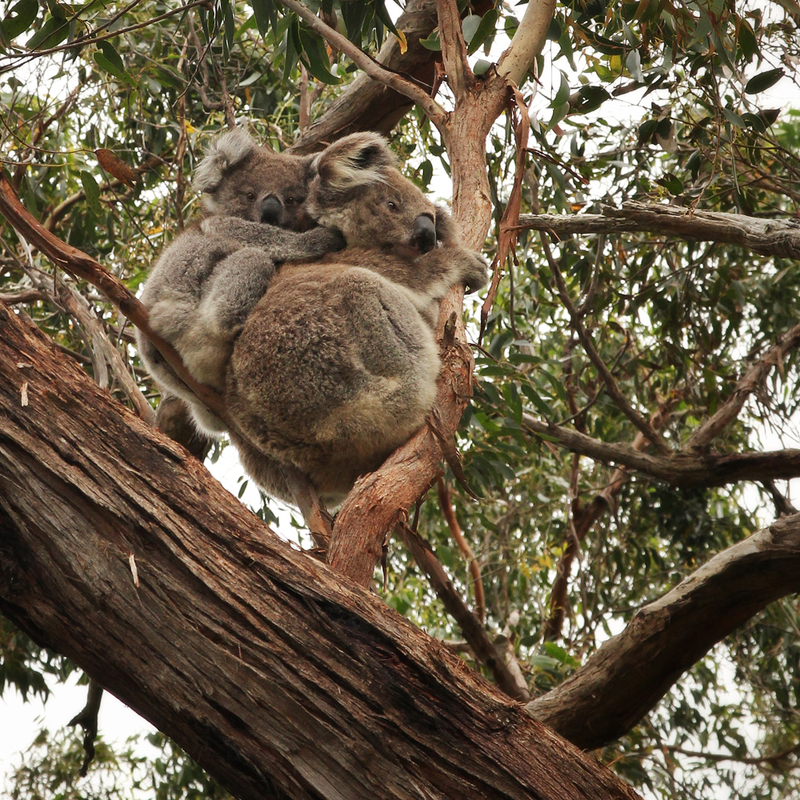 In Hordern Vale, a region at the Great Ocean Road in Victoria, these adorable koalas on the photo above suffer from a lack of bushfires. The absence of flames over there allows coastal scrub to spread throughout their eucalyptus forest. Low dense plants prevent the sunlight from reaching the forest floor where new eucalyptus seeds depend on the warmth and the light of the sun to grow. As the coastal scrub acts like a pest the next bushfire could help to eliminate that problem and allow new eucalyptus seedlings to grow. 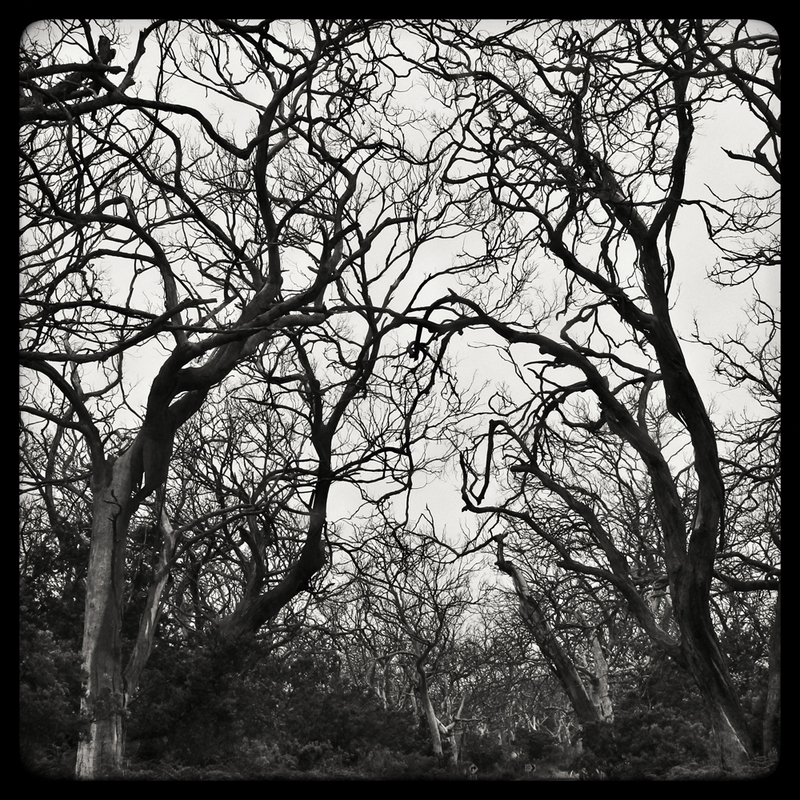 Have a look at the photo below: The black and white image shows a severely affected part of the Hordern Vale forest as seen in December 2013. The old eucalyptus trees are not only surrounded by dense bushes, they are bald as well; partly because of their age, partly because of koalas. The cuddly marsupials “waste” up to 3 kg of eucalyptus a day (in fact, one koala eats up to 1 kg and throws up to 2 kg to the ground – they are a picky bunch!). To guarantee their survival new trees are needed. As you can see, a prescribed fire might be one possible solution with which the Hordern Vale locals could try to combat the decline of their eucalyptus forest. If they fail, they might need to think of a strategy to relocate the koalas; a process which many of them might not survive. 2. A vast number of Australian plants only produces flowers and seeds as reaction to fire; one could say it’s a survival strategy. Their seeds are therefore fire proof and able to survive large bushfires. The ashes act like soil fertilizer and help the seeds to germinate. 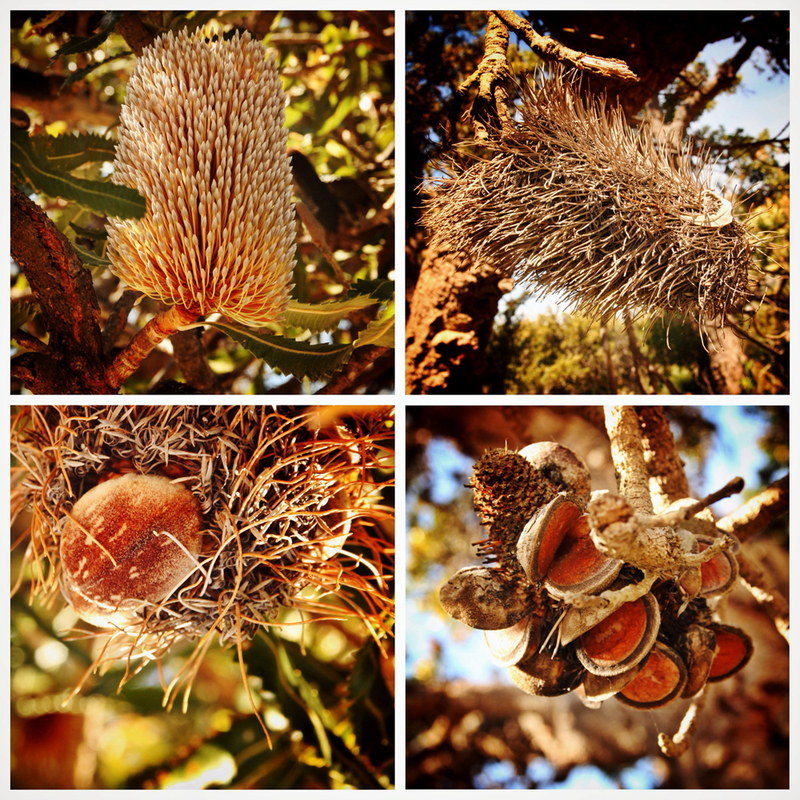 Let’s have a closer look at the different stages of a Banksia tree flower. 4 different stages of a Banksia tree flower. Top left: Nectar producing flower spikes. Top right: old flower spikes get brown and “hairy”. Bottom left: Old Banksia cones only form follicles with seeds when under threat (for example due to extreme heat). Bottom right: The cones require the heat of a fire to open and disperse the seeds. Does all that mean global warming is no major threat for Australia? Not at all! Global warming increases the chances for wild bushfires and decreases the opportunities for prescribed hazard reduction burnings. More frequent “megafires” means less time for nature to recover from former fires, but it still takes up to 5 years till new plants are able to produce their fire-proof seeds which ensure the survival of complete forests. To wrap up, wildfires can have a positive impact on wildlife and landscapes. However, if they reach high intensity they can kill and injure humans and damage property. To prevent or reduce the size of wildfires prescribed burnings are a possible approach and the reason why my post is titled “Why Australian Fires Can Be Good”. Please let me know what YOU think. I am aware that some people oppose prescribed burnings as they fear they damage the environment. Do they cause more damage than high-intensity wildfires getting more and more frequent?